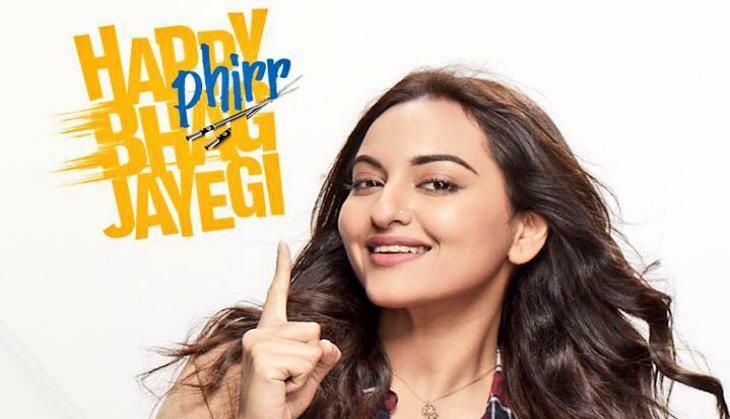 Bollywood actress Sonakshi Sinha starrer film Happy Phirr Bhag Jaayegi has hit the screens and the film has got a good response at the box office. After starting on a low note the film did well at the box office on its second day. The film collected 2.70 crores on opening day and then on the second day the film saw a growth. According to trade analyst Taran Adarsh, the film showed a healthy growth on day 2 and collected 4.03 crores. With this, the overall collection of the film is now 6.73 crores. This film of Sonakshi Sinha is a sequel to 2016 released film Happy Bhaag Jaayegi starrer Diana Penty, Abhay Deol, Ali Fazal and Jimmy Sheirgill. The film is doing the same as what the prequel of the film did, the prequel film did approx 10.71 crores in the opening weekend, and expectations are that this film will also do the same. However, the prequel did an impressive collection overall in the end. While talking about the film then it stars Sonakshi Sinha, Jassie Gill, Jimmy Sheirgill, Piyush Mishra, Ali Fazal and Diana Penty in the leading roles.